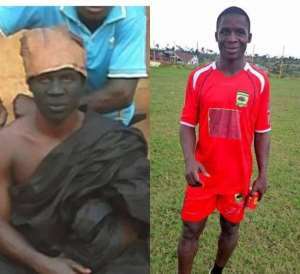 Former Asante Kotoko midfielder, Samuel Appiah Kubi has slammed his former trainer, CK Akunnor and have insisted he would have scored own goals if he should have been fielded in games. The midfielder was released by the Porcupine Warriors last week Saturday after failing to impress after joining the club in 2017. According to him, Asante Kotoko players have been playing under fears due to the attitude of the coach towards the players at training grounds. "Kotoko players have been playing with pressure and fears under C.K Akunnor because he's always shouting and insulting the players," he said. "I have passed through many coaches and I can tell you C.K Akunnor knows nothing about coaching. "I would have scored own goals if C.K Akunnor had fielded me in games," he added. Appiah joined the Kotoko from Nkoranza Warriors.